Posted in: news. 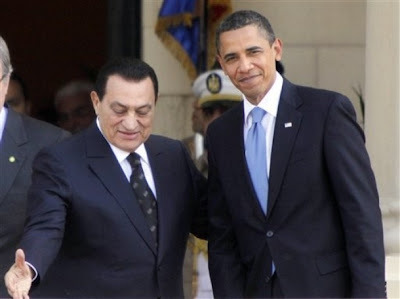 Tagged: aljazeera TV, America, baghdad, barak obama, bbc, BBC Hardtalk, BBC NEWS, Bin Laden, latif yahia. Posted in: AL-Hakem, Al-qaeda, Death, Democracy, Democratic, documentary, free Speech, freedam, freedom fighter, government, harassment, history, investigation, IRAN, Iraq, Ireland, irish, Irish government, Israel, latif yahia, Michael McDowell, middle-east, Muslims, NEW EMPIRE, news, Newsweek, opposition, politic, SKY NEWS, terrorism, terrorist, Tony Blair, Tony O'Reilly, true story, war on terror, western governments, western hipocrasy, Whitehouse, Wikileaks, world. Tagged: Al-qaeda, aljazeera TV, America, bbc, Big Brother, Bin Laden, bush, cia, civil service, Clinton, cnn, corruption, Death Squads, Democracy, empire, fbi, film, George W Bush, HARDtalk, investigation, IRAN, Iraq, Ireland, Irish Government, Irish justice system, latif yahia, legal system, Liberation, Mafia, malta, McCain, Obama, Saddam, Saddam Hussein, terrorism, The Black Hole, The Devils Double, uk, usa, Wall Street Journal, war, War Crime, War Criminal, White House, whitehouse, Wikileaks. Do you remember the Safe-Cyber instructions they taught you in the mandatory Computer Ed class (operated by the National Institute of Standards and Technology)? First you fire up your Secured Computing Device (SCD) and its hardware token authenticator. Then you enter the six-digit algorithmically generated password displayed (a new one flashes every 60 seconds) and are asked to supply your biometric identifier. You place your thumb on the built-in fingerprint pad, click, and wait for the Internet connection to begin. But it doesn’t. Instead, the screen goes black for a second before the dreaded words appear: “Malware has been detected on this SCD. As mandated by federal law, it has been placed in quarantine.” Then the machine shuts down. This is not just conjecture, but an imminent scenario. Policies, such as the White House proposed “National Strategy for Trusted Identities in Cyberspace,” which will transform the character, culture and freedom of the Internet, are already in place. The 20 cybersecurity-related bills introduced in the Senate in 2011, and the dozen introduced in the House of Representatives, have wound their way through committees and, according to Senator Harry Reid, are scheduled to be voted on in the first quarter of 2012. Almost all of them, with the blessing of the White House, would make the Department of Homeland Security the overseer of private-sector networks. Considering the apocalyptic rhetoric coming from Washington and the ranks of cybersecurity experts – echoed by media reports that portray every picayune data breach as Armageddon – it would appear that the vulnerability of the Internet has been underplayed for many years. In the Internet’s start-up decades, both industry and government were committed to establishing an atmosphere of trust that would draw the public into conducting more and more digital business. Though data breaches, theft of trade secrets, identity theft and bank robbery have been a fact of Internet life since its beginnings, there were few laws requiring disclosure. Banks and credit card firms ate their losses as a cost of doing business, and the giant corporations kept mum rather than roil the public. Recently, the pendulum has swung in the other direction and a raucous alarm has been sounded regarding the great danger posed by the Internet. The Hacktivists LulzSec and Anonymous, the most-publicized of the hacktivists, along with a growing community of ad hoc cyberactors, have had a multi-faceted impact on the cybersecurity environment that goes far beyond the number of hackers at work or the amount of actual damage their exploits have inflicted. They have skillfully publicized their outsized, headline-ready cyberintrusions. Their attacks, which are something other than the garden variety cybercrime, have compromised the web assets of Sony, the CIA, Fox News, the Church of Scientology, Bank of America and many more. Beyond the financial damage and security breaches, they’ve created a public relations nightmare forcing these major institutions to go public with what they would otherwise go to great lengths to conceal. As a result, attention has been focused on the inadequacies of Internet security. If organizations as large, powerful and security-conscious as these are vulnerable, who then is safe? Not only have the targets been breached and embarrassed, consumer trust in the Internet has also been shaken. 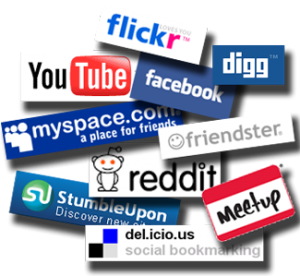 These high profile, anarchic Internet exploits – compounded by the role of social media in evading and undermining government control of the political and media arena (Arab Spring, Occupy Wall Street, etc.) – have intensified government efforts to clamp down on the Internet … while providing the media with scary cyber-stories to further that agenda. The way business is transacted, government operates, and national defense is conducted have changed. These activities now rely on an interdependent network of information technology infrastructures called cyberspace. The National Strategy to Secure Cyberspace provides a framework for protecting this infrastructure that is essential to our economy, security, and way of life. In the past few years, threats in cyberspace have risen dramatically. 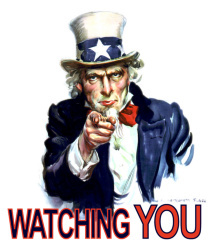 The policy of the United States is to protect against the debilitating disruption of the operation of information systems for critical infrastructures and, thereby, help to protect the people, economy, and national security of the United States. On the face of it, this appears to be a reasonable approach for a world that has become, in a relatively short time, totally dependent on digital resources. Unfortunately, it is an approach that provides a straight path to the militarization of the Internet and the loss of liberty that will follow. It is an approach that will elevate the most common forms of cybercrime (bank robbery, credit card theft) to the high-alert status of a cyberwar attack. Many Internet experts and cybersecurity professionals have deemed 2011 “The Year of the Hack,” in recognition of the unending stream of headlines related to data breaches and thefts. We believe that – aside from any real uptick in cybercrime or cyberwarfare skirmishes – this perception is the result of the government’s determination to soften up the public to meekly accept an upcoming barrage of Internet regulation. It is a digital-age version of the tried and true fear mongering that is always employed to further empower the president and further enrich the military/industrial and Homeland Security complex. The government says it’s not fear mongering, just education. The Money Card A key point being used to “educate” the public is the putative astronomical monetary loss caused by cybercrime in all its forms. There is, of course, no way to ascertain the validity of these numbers or even to figure out just what kind of losses are included in the estimates, which are generally arrived at by the large cybersecurity corporations. Some loss-figures appear to include the fall in a company’s stock price that usually follows revelation of a major hack (but doesn’t adjust that figure when the stock price climbs back up), as well as adding in an arbitrary sum attributable to time lost in recovery. The largest global estimate of money lost to cybercrime currently floating around – as totted up by McAfee, the world’s largest cybersecurity company and endorsed by the White House – is $1 trillion a year. Symantec Corp., another cybersecurity giant, calculates the annual toll of global cybercrime to be about $388 billion. For dramatic impact, Symantec notes that figure is greater than the black market in marijuana, cocaine and heroin combined. Either of those (wildly divergent) sums is impressive, but do they mean anything? Or are they just part of a government “education campaign modeled on previous successful campaigns,” such as selling the public on the certainty of WMDs in Hussein’s Iraq? Far from being broadly based estimates of losses across the population, the cyber-crime estimates that we have appear to be largely the answers of a handful of people extrapolated to the whole population. A single individual who claims $50,000 losses, in an N = 1000 person survey, is all it takes to generate a $10 billion loss over the population. One unverified claim of $7,500 in phishing losses translates into $1.5 billion. Our assessment of the quality of cyber-crime surveys is harsh: they are so compromised and biased that no faith whatever can be placed in their findings. The Cybersecurity-Industrial Complex The fear, uncertainty, and doubt (FUD) surrounding cyberspace has helped turn cybersecurity into an enormously profitable business, worth between $60 and $100 billion a year, depending on who’s providing the statistics. The sector is expected to grow 10 percent annually for at least the next five years. You don’t have to attribute any ethical lapses in the cybersecurity industry to recognize that it, like the government, has a great interest in “educating” the public in cybersecurity awareness. 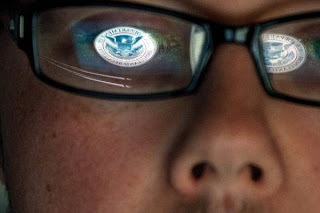 The military-industrial complex of the Cold War era has morphed into the cybersecurity-military/industrial-Homeland Security complex of the Cyber War era … to which there is no end in sight. With the cybersecurity industry creating the technology required to stem the very cyberattacks they are in charge of discovering and monitoring, we face an endless cyberarms race that will undoubtedly be fed on exaggerations of the virtual menace and our vulnerability to it. On the heels of the fear and hysteria will come the firm push for strict control and regulation of the Internet. It will be championed by government and industry as the necessary response to cyberwar, cyberterrorism, and cybercrime which, since cyberspace is considered a “strategic national asset,” are essentially all the same. The Stop Online Piracy Act (SOPA) for instance, which is scheduled for a vote in 2012, will take a page from the National Defense Appropriation Act of 2012. In order to protect the rights of copyright holders to profit from their intellectual property, SOPA would permit the dissolution of due process and open the door wide to censorship and the denial of the right to free speech. The bill, supporters suggest, is not just about recovering the billions lost to bootlegged movies and music, rather, it’s about protecting the military strength that ultimately depends on economic vitality. We agree with The Electronic Frontier Foundation, which has called SOPA the most extreme, anti-Internet, anti-privacy, anti-free speech copyright proposal in US legislative history. It is, however, only one of many legislative proposals likely to be steamrollered through Congress in the coming year. Microsoft has proposed what it calls a “public health model” for the Internet. Cybercitizens would be required to have a “clean bill of health,” make their computers open to inspection, and, if contaminated by a virus or other malware, be prepared for quarantine. President Obama’s National Strategy for Trusted Identities in Cyberspace is pushing for development and public adoption of Internet user authentication systems that will function as a driver’s license for the cyberhighway. Government control of the flow of information will strike a blow against Internet anonymity and the free speech it has made possible. Driver’s license, bill of health, passport, whatever you call it – it’s all about the ability to track and control the individual. Today, traffic in copyrighted digital material is the criminal behavior supposedly under attack; tomorrow, it will be the ability to speak out against corrupt government. Trendpost: The demand for ever-more effective cybersecurity tools to counter the ever-more inventive depredations of cybercriminals and cyberwarriors will be with us far into the foreseeable future. Clearly, this situation will create many jobs, both for the formally educated and the creative hacker. In addition, The National Initiative for Cybersecurity Education – established to provide cyber-awareness training to students in Kindergarten through post-graduate programs – will need many specialized teachers. A high probability exists that 2012 will bring revelations about contamination in the global IT hardware and software supply chain and proof that computer components are providing our “enemies” with entry to critical networks or transmitting sensitive information to them. This will turn the DoD’s security concern into a hot imperative. Posted in: Al-qaeda, America, american, bbc, books, cia, civil service, corruption, Death Squads, Democracy, Democratic, documentary, dublin, Fianna Gael, film, films, free Speech, freedam, freedom fighter, government, harassment, Human rights, investigation, IRAN, Iraq, Israel, Justice, latif yahia, NEW EMPIRE, news, Newsweek, opposition, peace, people, politic, PRESS, public, Rupert Murdoch, Saddam, SKY NEWS, terrorism, terrorist, Tony Blair, Tony O'Reilly, TV, usa, war, Whitehouse, Wikileaks, world. Tagged: Al-qaeda, aljazeera TV, America, bbc, Bin Laden, bush, cia, civil service, Clinton, Death Squads, George W Bush, government, HARDtalk, investigation, IRAN, latif yahia, legal system, Liberation, Libya, Mafia, Saddam Hussein, Saif al-Islam Gaddafi, terrorism, The Black Hole, Tony Blair, Tripoli, uday saddam, uk, usa, war, War Crime, War Criminal, whitehouse, Wikileaks. 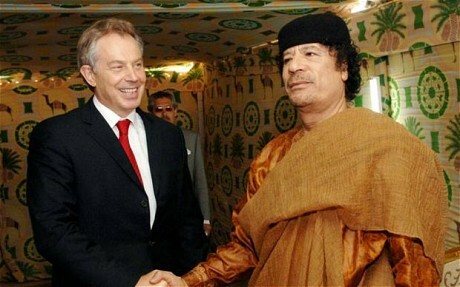 Tony Blair wrote to Col Muammar Gaddafi to suggest African projects in which the former Libyan leader could invest, according to reports. 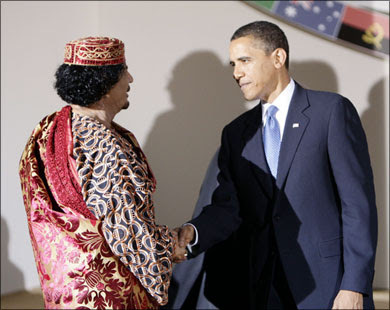 The former prime minister told Gaddafi, in a letter dated February 17 2008, that he was “very interested to hear from you of the progress that is being made and the great opportunities there are for the future”. Mr Blair says he was “particularly interested in what you said about the funds that will be dedicated to projects in Africa, since you know I am doing a lot of work there and know of good, worthwhile projects for investments”. The disclosure of the letter in the Daily Mail comes after documents which were found in Tripoli appeared to show that the former prime minister secretly met Gaddafi twice before the Lockerbie bomber was released. Mr Blair also sent other letters on the same date in 2008 thanking the then-prime minister of Libya, Baghdadi al-Mahmoudi, and to a man believed to be deputy prime minister, Dr Abdulhafid al-Zulaytini, for “facilitating my meeting with the Leader”. In both letters he presses the two politicians for further meetings, saying “do let me know when you are in London” and tells them the appropriate means by which to contact him, it was reported. Mr Blair has maintained his counsel on the full extent of his meetings in Libya since leaving office in June 2007. Earlier this week, The Daily Telegraph learned that Mr Blair used visits to Libya after he left office to lobby for business for the American investment bank JP Morgan. A senior executive with the Libyan Investment Authority, the $70 billion fund used to invest the country’s oil money abroad, said Mr Blair was one of three prominent western businessmen who regularly dealt with Saif al-Islam Gaddafi, son of the former leader. Saif al-Islam and his close aides oversaw the activities of the fund, and often directed its officials on where they should make its investments, he said. The executive, speaking on condition of anonymity, said officials were told the “ideas” they were ordered to pursue came from Mr Blair as well as one other British businessman and a former American diplomat. 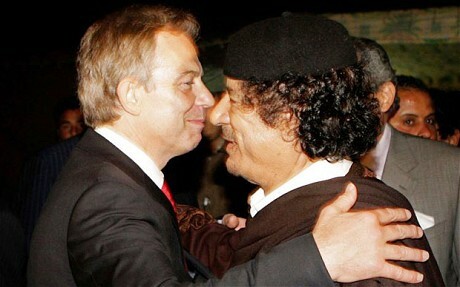 A spokesman for Tony Blair said: “Tony Blair has never sought or received funding from Gaddafi or the Libyan government for any of his projects in Africa and neither have his charities. “This discussion was about how best Libya used its substantial Africa Development Fund to help internationally supported infrastructure projects in Africa for the benefit of African people. Posted in: AL-Hakem, Al-qaeda, America, american, banned, bbc, books, cia, corruption, countrys, Death, Death Squads, Democracy, Democratic, documentary, dublin, films, free Speech, freedam, freedom fighter, government, harassment, Human rights, investigation, IRAN, Iraq, Ireland, Justice, latif yahia, Michael McDowell, NEW EMPIRE, news, opposition, peace, people, politic, PRESS, public, Saddam, sader, SKY NEWS, terrorism, terrorist, The Black Hole, The Devils Double, TV, uday saddam, usa, كنت ابناً للرئيس, لطيف يحيى, war, Wikileaks, world, أمريكا, الأحتلال, الحرب, العراق. Tagged: barak obama, Bin Laden, Egypt, George W Bush, Ghadaffi, government, ich war saddams sohn, International court, IRAN, Iraq, latif yahia, Libya, Middle-east, Noori Al Maliki, Saddam Hussien, Tunisia. I had better stop there or I’ll be charged with plagiarism, but, it is definitely an interesting time, especially for the Middle East. The spark that ignited that whole region of the world and gave hope to the idea of democracy or at least regime-leader change, has fully taken hold and now and there is no turning back. As I watched the events unfold on television, I was struck by a mixture of elation at the fact that after forty or more years of rule, the people had had enough of their masters and were –for the most part- protesting peacefully for their removal and a sadness that this “liberation” was not the kind that Iraq had been able to achieve for itself. 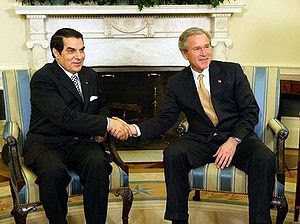 Having said that Iraq had played it’s part in recent events, Iraq was held up to the rest of the Arab world as a ‘cautionary tale’ and example of ‘how Not to do it’ and when outside help was offered, the nations replied ‘No thanks, we’ll do this ourselves’ a lesson hard learned by Iraqis. I send out my greatest respect to Tunisia and Egypt, who have made effective change without the loss of too many citizens and I send my deepest sympathies and respect to the families of those that did lose their lives in the protests. I know that Tunisia and Egypt especially are open minded and progressive countries and will be strong enough to continue on their path to democracy, I can only hope that the other countries that are following in their footsteps –like Libya- will not succumb to extreme Islamists, something that is quite possible. Maybe that is why the drums are beating for Ghadaffi in a way that they didn’t for Ben Ali or Mubarak, add to that the fact that Libya holds nearly 5% of the world’s petrol and you have a recipe for America to go in there and secure it’s position. Unilateral sanctions only punish the people, not the regime. The regime have enough money outside the country to still be able to do and buy what they want, it is only the man on the street that feels the lack. It is estimated that Ghadaffi has 20 billion in London alone. While I am writing this, his money – 40 Billion in America and god knows how much in Switzerland- is being frozen. Which leads me neatly on to my next point, an International court needs to be set up not just to hold Dictators, Tyrants and Despots to account, but those who supported the regime and I’ll explain this point clearly, a regime cannot function if it does not have suppliers, weapons, banking, business. A petrol filled country with a tyrannical leader cannot make money from it’s petrol if there is no-one who is willing to do business with them, they cannot keep control of their population if they cannot buy arms and their money is of no use if they cannot keep it somewhere safe outside their own country. So often we are shown people like Saddam, held up high for us to despise and point at, but could or would he have survived so long if he didn’t have ‘friends’, let’s be clear here, business is the agenda of the day. Big business. It’s too easy to point the finger and say ‘Dictator, Despot, Tyrant’ but then under the table sell them billions of dollars worth of weapons so you can buy the oil cheap, the people who suffer are the citizens of that country. But let’s also take a look at how these people get power, it could be argued that they took it by force, yes, but how did they get that “force”? somebody had to support and supply them. A country has a leader who is a bad guy, the US doesn’t like this Bad guy so we decide that he needs to go. He has an enemy who is not a really good guy, so we support the not good guy against the bad guy to get him out. But then after the not so good guy gets power he turns out to be a really bad guy. My case in point is Noori Al Maliki, you only have to look at Iraq, the corruption (yet another Minister ran form Iraq yesterday with the best part of 100 million dollars), lack of any sign of progression since the installation of Democracy, the damning fact that 80 people have died in Iraq while protesting for change of the governing system, not the government. The fact also that none of this is getting any coverage in the Western media, why? Because, America doesn’t want to look like it has failed. But it has, America made so much noise about not letting Iran get it’s hands on Iraq but then handed the leadership over to people that it Knew were supported by Iran, Noor Al Maliki stood up a few days ago and said that nowhere in the world had democracy like Iraq, Iraq had the best democracy in the world, well if you call handing Ministries and positions of power over to people who haven’t been elected by the people Democratically, then I don’t know what the Yemenis, Bahrainis, Saudis or Libyans are demonstrating against, they already have democracy! The leaders in the Middle East are in a state of panic, most of these leaders be they Presidents, Kings or dictators acquired their power with the help of Britain or America 40 or more years ago, the King of Saudi for instance has made an offer of 150 Billion dollars to buy Facebook! Why? Because he knows that through social networking the people are exacting change, they can mobilize and exchange ideas faster than the country’s intelligence service can track them. If he was a good leader why should he worry? If his people were happy why would they need to protest against him? As with most countries in the Middle East the power is held by the few, it is designed that way. I wish all those who want change the best and send them my heartfelt support, I hope that those who succeed always keep in mind what it was to be downtrodden and instill in their children and the generations to come a sense of responsibility for their democracies. When we are complacent, tyranny has the opportunity to reign, when we say ‘ what can I do? I am only one’ we forget that that we are many and it is our voices that should be heard. When we say ‘ Uh, I‘m not going to vote, they’re all the same anyway’ then we let down not only ourselves and our country but the ones that had to fight and die for us to have these rights. Never take your right to be heard for granted, you have heard the phrase ‘Use it or lose it’ and it is far easier to lose it than it was to get it in the first place. Posted in: AL-Hakem, Al-qaeda, America, american, banned, bbc, Blogroll, books, cia, civil service, corruption, countrys, Death, Death Squads, Democracy, Democratic, documentary, dublin, film, films, free Speech, freedam, freedom fighter, government, harassment, Human rights, investigation, IRAN, Iraq, Ireland, irish, Israel, Justice, latif yahia, Michael McDowell, NEW EMPIRE, news, opposition, peace, people, politic, PRESS, public, Saddam, sader, SKY NEWS, terrorism, terrorist, The Black Hole, The Devils Double, Trinity College, TV, uday saddam, usa, كنت ابناً للرئيس, لطيف يحيى, vice, war, Wikileaks, world, أمريكا, الأحتلال, الحرب, العراق, عدي صدام حسين. Tagged: AL-Hakem, al-Maliki, al-sadder, aljazeera TV, America, baghdad, barak obama, bbc, Bin Laden, bush, cia, civil service, Clinton, cnn, corruption, Death Squads, empire, film, George W Bush, HARDtalk, HUMAN RIGHTS, ich war saddams sohn, investigation, IRAN, Iraq, Ireland, Kuwait, latif yahia, legal system, Mafia, malta, McCain, Obama, Saddam, terrorism, The Black Hole, The Devils Double, uk, usa, war, War Crime, whitehouse, Wikileaks. Before the Invasion of Kuwait in 1990, even though we had had an eight year war with Iran, Iraq had everything. No-one had felt the effects of war so much, yes, we knew that it was happening and we saw the young soldiers return from the front but life had always continued as normal, everything you wanted and needed was there for you, including Night Clubs, Bars and Restaurants. Saddam may have been considered a dictator and despot, but he made sure that the people of iraq were provided for, he kept crime at a minimum, the streets were clean and the system worked. 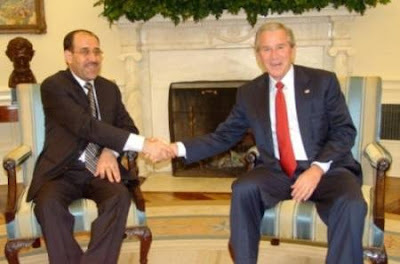 Since the ‘Liberation’ of Iraq by America in 2003, this has changed completely, those who were once our enemies and the sworn enemies of America according to Mr. Bush’s ‘Axis of Evil’ are now the masters of Iraq. 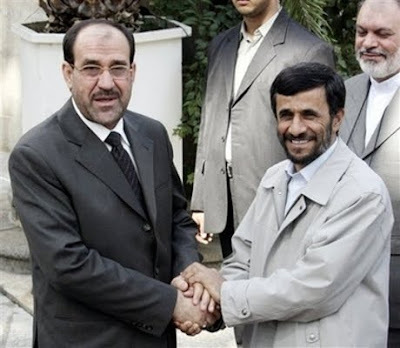 Iran is now in control of Iraq, we have been invaded by Mullahs, only the ones in Iraq come wearing suits. The effect is the same though, before 2003 two million people a year would visit Mecca, now in Iraq we have 18 million pilgrims to Iraq, whose only desire is to slap themselves and cry for Hussein (cousin of the Prophet Mohammed PBUH) in an effort to absolve themselves of the sins of their forefathers, the murder of Hussein and his family in Karbala. Iraq was built on blood, throughout it’s history it has been won and lost, blood feeding it’s soil. Maybe it is for this reason that only someone with a strong fist can truly control it.